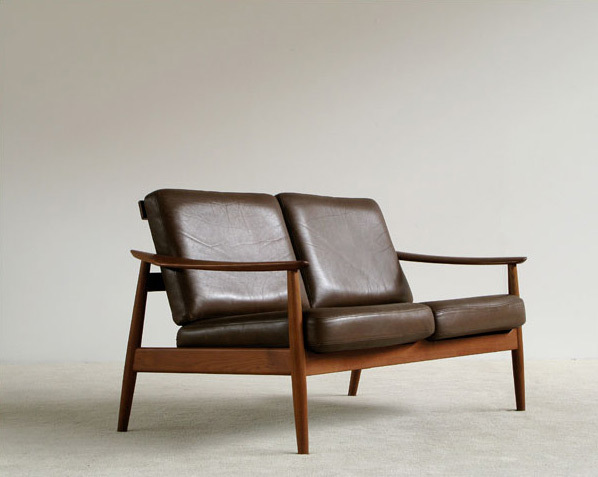 Arne Vodder two seater with teak organic frame and tobacco brown leather cushions. Made for Cado Denmark. Sofa / Fauteuil Arne Vodder, structure organique en teck, coussins en cuir couleur tabac. Production Cado Danemark.